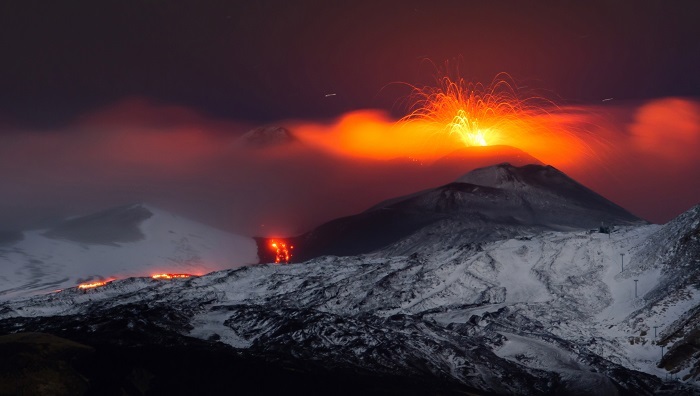 Hugely varied Sicily’s landscape veers from sandy beaches and rocky cliffs to nature reserves, marine reserve, dramatic mountain ranges and rocky gorges and, of course, Europe’s largest active volcano. 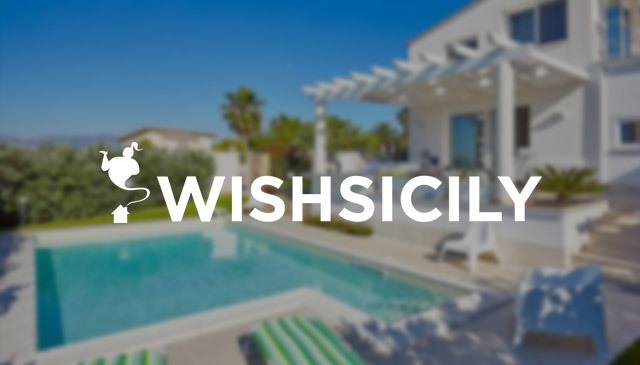 Get a complete overview of the wonderful nature island on a two-centre holiday in Sicily, combining a week in a holiday home on the beach with a week in a rural villa, close to one of the island’s top natural sights. The Vendicari Nature Reserve in southeast Sicily is a blend of rocky and sandy coastlines, sand dunes and lagoons. 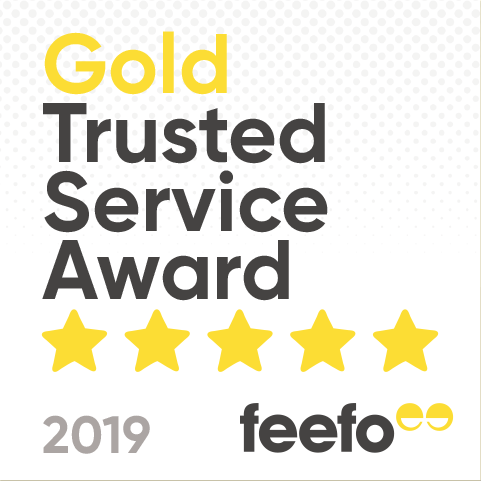 Carpeted in Mediterranean maquis and juniper bushes and scented with thyme and rosemary, for several days a year the reserve is the stopover for thousands of migrating birds – flamingos, herons and storks – en route to or from Africa. 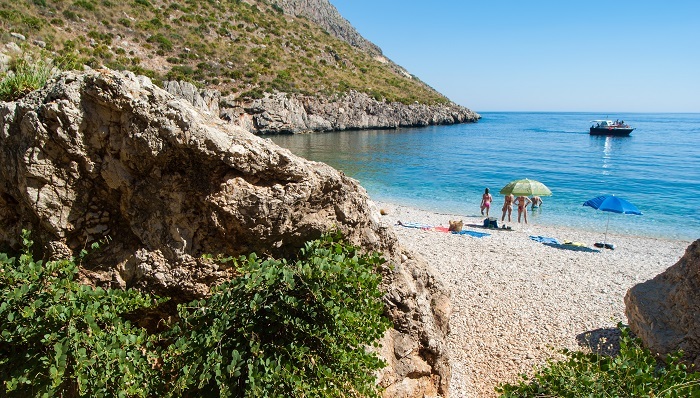 Meanwhile, in the west of the island, the Zingaro Nature Reserve is a stunning expanse of coastline which stretches for 7km close to the pretty village of Scopello. Here, rocky cliffs soar behind hideaway pebbly coves with translucent water, giving way to grassy slopes scattered with wild flowers, shrubs and palms. On the opposite side of the island, on the south west coast, the Torre Vendicari Salsa Nature Reserve is fringed by glorious sandy beaches backed by chalk white cliffs. 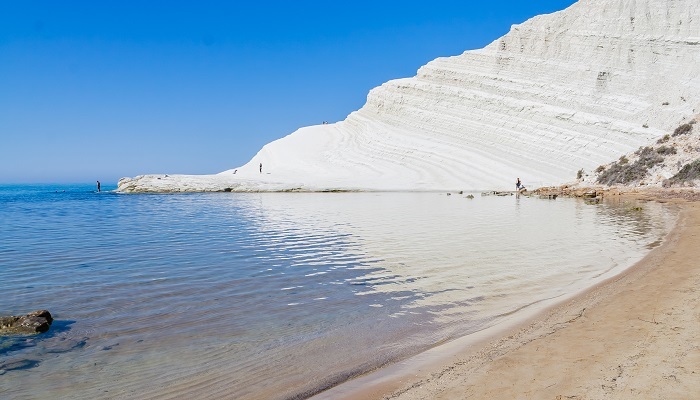 Not far from the Torre Salsa Nature Reserve, the Scala dei Turchi is one of Sicily’s most dramatic sights. Situated between Realmonte and Porto Empedocle, the blinding white terraces and cliff-side steps are a popular place for sunbathing and refreshing dips in crystal-clear turquoise water. 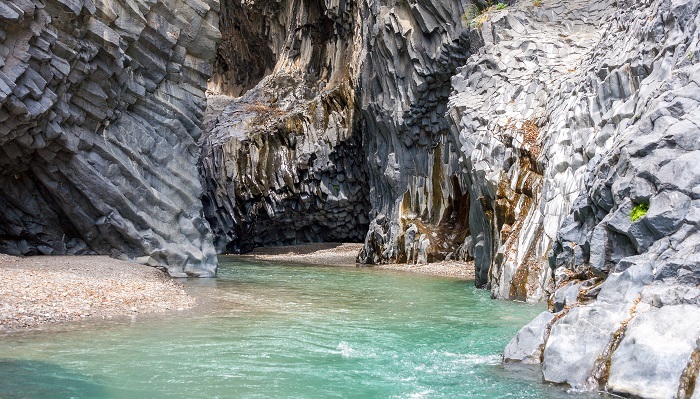 Close to Taormina, the black lava walls of the Alcantara Gorge provide a spectacular backdrop to the river which runs for over 50km from the Nebrodi Mountains, finally descending into chilly pools at the foot of the Gorge. High above the water, a series of paths and trails meander through the Park amongst a natural terrain sprinkled, in spring and summer, with wild flowers for a wonderful natural show. Further south, close to Avola, the Cavagrande del Cassibile is a picture-perfect series of waterfalls and emerald-hued lakes at the foot of a deep, 10km long, limestone canyon. If you plan to visit, trainers, plenty of water and provisions are a must. 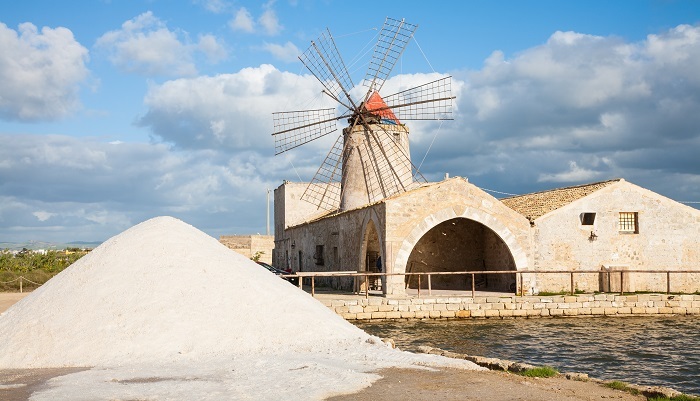 The ancient salt pans of Marsala Sicily are a distinctive western feature of the island’s natural landscape, characterised by a horizon dotted by ancient windmills. Stagnone, to the north of Marsala, is the main area of salt production and is still in use today. There is a museum for those who are in interested in finding out more but the sunset views across the salt pans are just as big an attraction. Wherever you holiday in eastern Sicily, you are never too far from the dramatic silhouetted outline of Mount Etna. Take a guided tour to explore its lunar-like upper slopes and lava flows but leave time to discover the charm of its local rural villages and their views across vineyards, citrus groves and orchards of pistachio and almond trees.